Solms, Germany (September 17, 2012) - Leica Camera presents the Leica V-Lux 4, a digital compact camera that unites a high-performance lens, outstanding imaging quality and superior speed in a compact format. With its wide range of video functions and an impressive list of features, as well as its enormous versatility and very low weight, the new model is an serious alternative to comparable SLR systems. The V-Lux 4 is ideal for shooting landscapes, architecture, sport, travel, portraits or wildlife. 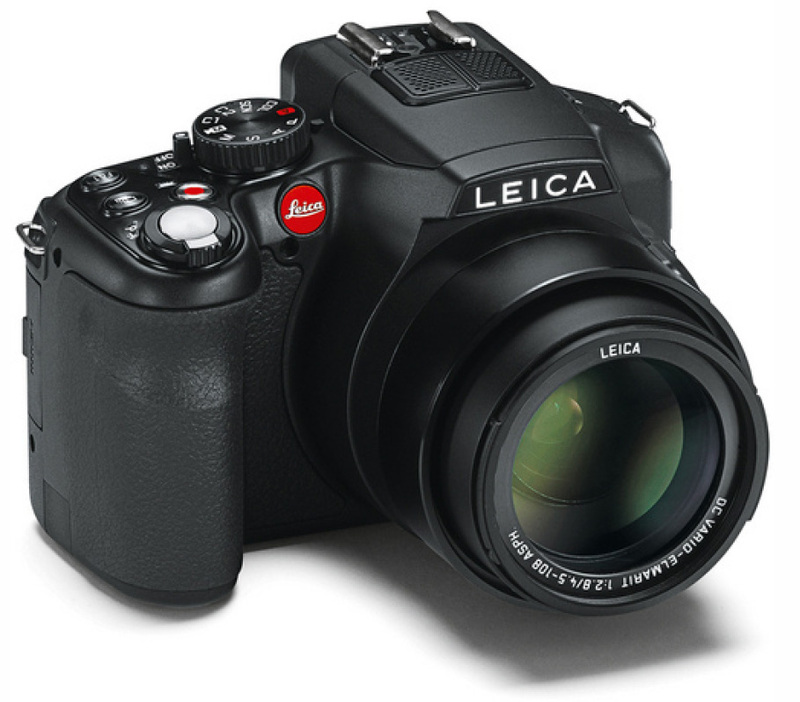 The Leica V-Lux 4 features a newly designed Leica DC Vario-Elmarit 4.5–108 mm f/2.8 ASPH. 24-fold super-telephoto zoom lens with an enormous range of focal lengths equivalent to 25–600 mm in 35 mm format, ideal for all photographic situations. The constant maximum aperture of f2.8 throughout the entire zoom range distinguishes it from other cameras in this particular class. These features also make it possible to capture pin-sharp images at greater distances even under unfavorable lighting conditions. Its high speed and integrated optical image stabilizer allow the use of shorter shutter speeds that ensure fewer shots with camera shake when shooting handheld. In combination with longer focal lengths, the large initial aperture of f2.8 allows a high degree of creative freedom for experimentation with planes of focus and depth of field. A maximum ISO sensitivity of 6400 and a new 12-megapixel CMOS image sensor ensure outstanding imaging results in all photographic situations, including unfavorable lighting conditions. Still pictures and video recordings captured by the V-Lux 4 are characterized by high dynamic range and natural, perfectly saturated colors. 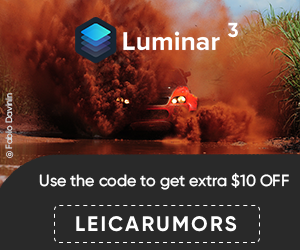 The camera delivers up to 12 frames per second at full resolution and captures even fast-moving subjects in richly-detailed and pin-sharp focus. The autofocus of the Leica V-Lux 4 reacts to changes within the image frame in less than a tenth of a second and makes it possible to reliably capture fast-moving subjects, making it ideal for sport photography and for shooting continuous sequences. The new Leica V-Lux 4 features an extensive range of video functions, such as full HD video in AVCHD format with 1920 . 1080 pixels and 60 full frames per second. The entire 24-fold zoom range is available during video recording, while an integrated stereo microphone with an electronic wind noise filter guarantees a crystal-clear soundtrack. Video data can be saved in Internet-compatible MP4 format and can be uploaded to social media or mobile devices without any need for conversion. A reliable aid for assessing subject framing and exposure settings, the new electronic viewfinder of the V-Lux 4 has a resolution of 1.4 megapixels and a 100" field of view. The new zoom function is particularly convenient, making it possible to magnify the subject. The viewfinder features dioptre correction and is a very attractive and practical alternative to assessing images on the camera monitor screen, particularly when shooting in bright light. The 3" LCD display with 460,000 pixel resolution delivers an extremely bright, clear view and is a reliable aid to photographers in the precise composition and assessment of images. As a further aid to creative photography, the monitor screen can be freely rotated in almost any direction and lets users shoot from even the most unusual angles. Whether shooting stills or video from above their head or down close to the ground, photographers always have complete control of image assessment. Its compact size and light weight allows for extremely easy handling of the Leica V-Lux 4 and its integrated handgrip keeps it steady at all times, even when shooting one-handed. All of its controls are clearly laid out and simple to use, such as video recording, which can be started quickly and easily at the touch of a button on the top deck of the camera. The Leica V-Lux 4 is supplied complete with the professional still picture and video processing software Adobe® Photoshop Lightroom® 4. It will be available from Leica dealers, including the Leica Store Washington DC, beginning in November 2012.